India’s premier public university Jawaharlal Nehru University will be conducting its entrance exams for various undergraduate and postgraduate courses from May 27 to May 30 , 2019. The esteemed entry level test earlier held in the month of December got shifted to May keeping in view the difficulties students faced while writing the examination in December, a press release from the meeting of 148th Academic Council of JNU held in December 2018 stated. Jawaharlal Nehru Entrance Exam or JNUEE will be held in collaboration with National Testing Agency. Subsequently, JNU will be the first central university in the country to conduct its entrance exam with NTA. The official student body of JNU currently led by United Left Alliance on March 29 announced free coaching classes for JNU aspirants gearing up to appear in the entrance exams for the upcoming academic year. Preparatory classes for BA/MA/M.Phil will be offered by volunteers willing to aid students from deprived backgrounds get into the reverend institution. Starting from the first week of April, the preparatory programme will stretch till the first week of May inside JNU campus. An annual exercise by JNUSU as reported in Navbharat Times; Akhil Bharatiya Vidhyarthi Parishad, the RSS affiliate student organisation that lost all seats in the previous JNUSU election will also be conducting free coaching classes for JNUEE in their independent capacity. A poster released on the Facebook page of ABVP JNU mentions all the details of the scheduled classes. 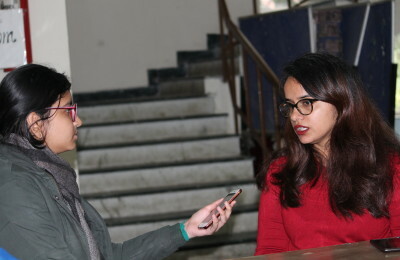 The caption states that the introductory session would be held on April 4 , 2019 in the School of International Studies inside the JNU campus. The poster also mentions that classes JNUEE coaching classes may expand to other centres after sufficient response. It’s interesting to note that the current student union of Jawaharlal Nehru University is dominated by a cluster of left leaning parties that includes All India Student’s Association, Democratic Students Federation, Students Federation of India and All India Student’s Federation. In hindsight, ABVP’s approach to appeal students might be a valid attempt to garner a support base of the upcoming batches.